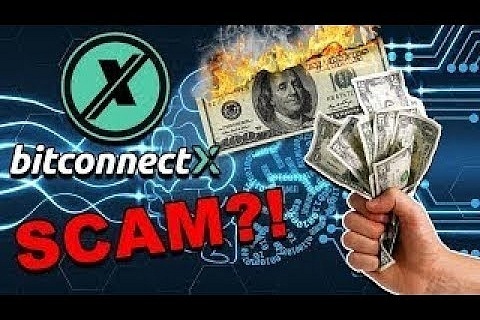 Bitconnect x is one of the newley talked about ICOs in the Cryptocurrency World but is it a scam? 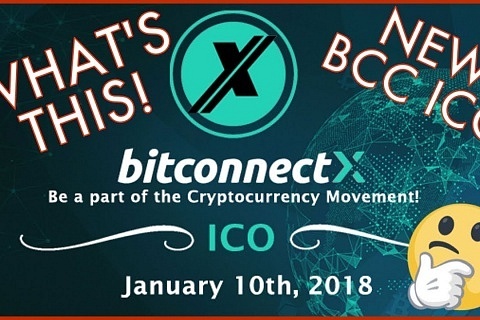 Bitconnect x -We’ve been taking a closer look at the latest ICO from BitConnect creatively named, BitConnect X. Our goal was to find out if the new cryptocurrency can be taken seriously or is just a scam designed to take your money. What exactly is BitConnect X all about? We’ve not long started bitconnect x daily and we’ve only really just heard about this after the landing page of bitconnect placed a pop up before logging in. We’ve decided to do a little bit of investigating to figure out what BitConnect X is and whether it’s actually legitimate. Our initial thoughts from face value that someone had essentially just cloned the well known and original BitConnect platform however after closer inspection we saw that BitConnect X is a legitimate ICO from the guys behind BitConnect/BCC. We have written a few articles on the platform and company and so we won’t dive too much into how it all works however we will just give you a brief overview. BitConnect runs what they are called a lending program. Essentially, You register , invest your money into the BitConnect coin which you can only do using Bitcoin, then you lend then your BCC. You can also earn extra money by referring friends and family to the platform and in return, they’ll give you 5% on any money they choose to lend bitconnect. There have been many more similar copycat platforms that have started but non have been anywhere as successful as bitconnect. Although there has been lots of negativity around this platform, it continues to defy the sceptics calling it a scam and ‘Ponzi’. The market cap for bitconnect Cryptocurrency (BCC) has hit around $2.4 million making it one of the top cryptocurrencies in the work. At one point it actually hit 16th on Coinmarketcap. Where exactly Does the BitConnect X (BCCX) cryptocurrency fit In? Where does bitconnect x fit in after the success of bitconnect and why are they launching a similar coin? The website itself hasn’t actually stated why they are starting a new cryptocurrency even after the promise of more information after the ICO launch on the 10th January. 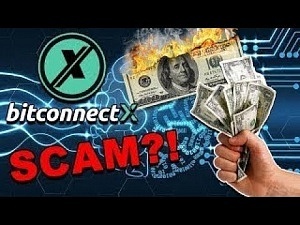 They do have some information on their website however nothing really to say why they actually started bitconnect x.
BitConnect X – Is It A Scam? 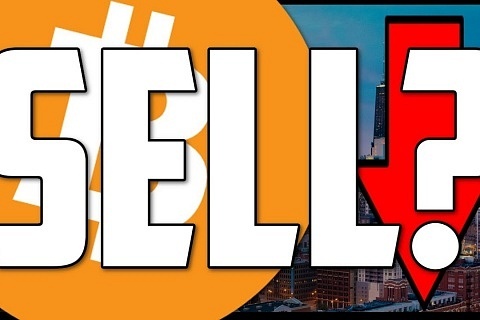 Many people all over social media, mainly Youtube, are suggesting that the coin has been started to replace/save Bitconnect which has recently been ordered a number of cease and desist orders from at least 2 states in america. It only takes a simple google search to see that many people are saying bitconnect is complete scam and a ponzi. In our initial review of the platform we were along with these people however actually trying the platform out ourself, we soon found out that maybe those people were wrong. Although something doesn’t actually seem quite right, we it’s stood the test of time and we’ve actually made and been able to withdraw money. Although we’ve had a positive experience, it could well still be a ponzi scheme/Pyramid Scheme. In actual fact, a relatively stable one could actually last this long. A typical example would be the bitconnect platform is paying its original members interest using money invested by the latest users, so on and so on. A Lot of the sceptics are suggesting that the collapse is near hence why they have started bitconnect x, to generate capital to fund new members. At the time of writing, the bitconnect platform had actually been down for 2 days now generating scepticism that this may be their exit plan. The platform however have actually released a statement via twitter that they have a a ddos attack. The initial coin offerings (ICOs) in total have raised billions last year and that trend can only suggest that the next year is set to the same trend. Some of the biggest ICO’s of last year actually raised 9 figures alone. Our final words/thoughts are that it may well be worth investing in the new cryptocurrency as long as you are prepared to take a risk, like most investment involve. Saying that, it’s incredibly hard to make a full judgment as there’s really not a lot of information to make a calculated decision. There has been a fair amount issues with the bitconnect x platform since the launch of the ICO which shows instability and the fact the bitconnect platform has been down for the last 2 days strengthens the voices of the skeptics. As it stands, we here at bitconnect x daily probably wouldn’t invest however, they have sold out of there daily coin limit within minutes so there’s obviously a lot of people who are. Feel free to find out the thoughts of our users by checking our our forum.